I love you the better; the hearers may cry, Amen. And God keep him out of my sight, when the dance is done! No more words; the clerk is answered. I know you well enough. You are signior Antonio. Urs. You could never do him so ill-well, unless you were the very man. Here's his dry hand up and down; you are he, you are he. 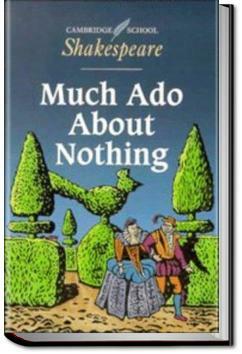 Much Ado about Nothing, written in 1598, interweaves the story of two couples. The more interesting and definitely more amusing one is Benedick and Beatrice, who apparently have a rocky romance in their past history. Much Ado About Nothing, abridged. CLAUDIO: So, um, Hero, I sorta maybe like you a whole lot will you go to the prom with me? HERO: We should get married! Squeeeeeee! BEATRICE: Pfft. Love is for stupid losers who are stupid. I saw an absolutely brilliant version of this play today at Shakespeare’s Globe in London. It was Mexican themed, full of dancing, gunshots, high racing emotions and many moments of farcical humour. All in all, it was a great production of an imperfect play.